Colin Smith bestowed the coveted Kreativ Blogger Award* on me last week. First off: thanks Colin! Colin’s blog is one of my favorites, full of great writing info. ^_^ So go forth, become a follower of his great blog, and prosper. Apparently the rules for the Kreativ Blogger Award are the following: 1) Share 10 random and hopefully embarrassing facts about yourself (because those are the most fun)** and 2) Pass it on! My mind has been very sluggish and mushy lately, so I’m having a hard time thinking of random facts about myself. But! My friend, Julie, posted 11 questions on her blog and so I’m going to answer them! How’s that for multitasking? 1. What flower do you most anticipate every spring? Oh, I LOVE flowers. This will be a hard choice. For seeing in the grocery store: spider mums. For seeing in nature: columbine (because that means I’m hiking!). And in general: peonies. Peonies are my favorites. 2. Which musician do you always go back to? Musician as in a single person/group? I have several, but I have loved Coldplay for years and years, ever since I first heard “Yellow” on the radio and it became my favoritest song of all time. 3. Do you use a rewards system when you write? Has that EVER worked for you? DUDE, I use a rewards system for my life! I love celebrating things, usually with a lunch or dinner out. When writing, I only celebrate on that level when I finish a draft. When I finish a chapter, I usually celebrate with a food break (like frozen burritos). So … no. 4. Best book you read in 2011? This is a very hard question for me. If I had to choose any, I’d say To Kill a Mockingbird, but that was a re-read so I’m going to disqualify re-reads (goodbye, Huck Finn and Ender’s Game). 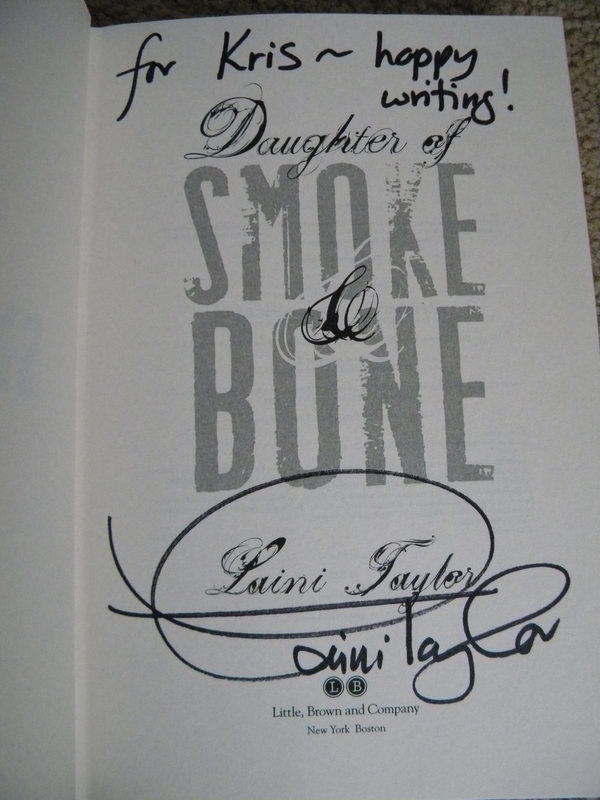 Sooo … I’ll go with a YA read: Laini Taylor’s masterful Daughter of Smoke and Bone. That book makes me swoon (as does Laini’s writing). 5. Is it sunny where you are? It’s nighttime, so no (thank goodness! Or else it might be the apocalypse!). 6. Are you a picky eater? Definitely not. I LOVE food. But when it comes to veggies, probably. I’ll eat them if offered to me, but I rarely cook them for myself (for shame!). 7. Who is *your* non-parental hero? Dang you, Julie, for not letting me pick a cop-out answer!! Umm … I’ll also try to avoid religious peeps, so that leaves me with George Washington(?). Honestly, I don’t know if I have a “hero” but I have many, many people I admire (like George Washington). 8. Would you rather go skiing or sledding? If it’s a strict choice between those two, then sledding. But if I can change skiing to snowboarding, then boarding all the way! 11. Favorite TV show? Arrested Development, but currently on TV it’s Community. As a kid/teen I loved me some X-Files. 1. Julie mə’hŏn at rosewood pencil box for thinking of these awesome questions. 2. Linds at Hodge-Podge Muse for finding the best internetz stuff and sharing them. 3. Leigh Ann (formerly the Naptime Novelist) for being inspiring and sharing nice eye candy occasionally on her Friday Obsessions. 4. Cole at Miss Cole Seeks Publisher for being all-around awesome (and sharing the best assortment of music!). 5. Lindsay at Life of Splendor. 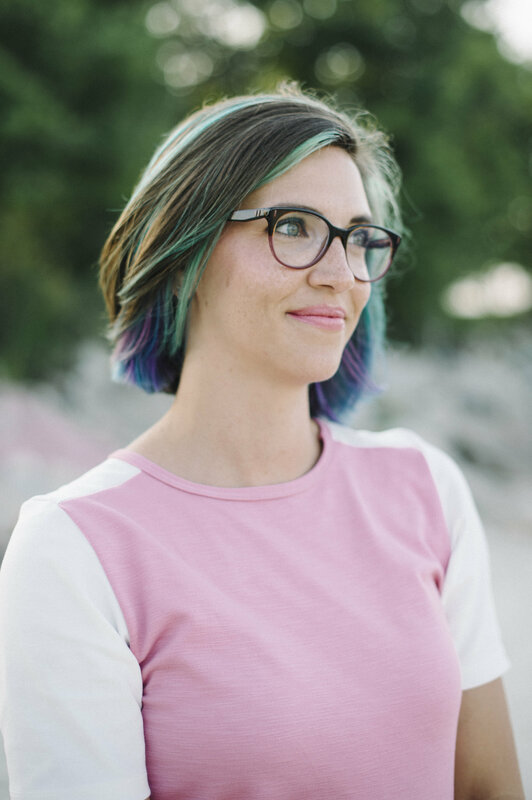 So, Lindsay’s blog is not expressly about writing; most of the time it’s about home decor and DIY, but Lindsay is one of my dearest friends and (former!) classmate in the MFA. She’s pretty much amazing and I would actually change my answer to Question 7 and say she’s one of my heroes. So you should check out her blog for realz yo! Aaaaand, second of all, I have to share Tahereh Mafi’s fabulous book give away, in which she’s giving away 6 packets of 3 books each, including such fabulous titles as The Statistical Probability of Love at First Sight and Legend. So what’re ya waiting for, knuckle head? Go enter! *I don’t think misspelling words is creative, but I love awards so I forgive this award for its name. **It’s not a rule they need to be embarrassing, but COMEON, those are the best kinds of facts! I Love the Writing Community! It’s true. There are many things I love in life–my dogs, that first Diet Dr. Pepper of the day, brand new socks–and one of those is the writing world. Reading other writers’ blogs and buildings friendships, going to writing events and listening to published authors, attending the residency at my school and all of the writerly fun that goes with it. Writing is a solitary thing, but we still manage to find ways to connect! But first! Because I’m a little cracked out on DDP right now, this is what I woke up to! A veritable winter wonderland. In October. And I love it! The first real snow of the season (we got a dusting a few weeks ago, but it was melted by midday). Mr. Atkins went into work a few hours late (to avoid the rush hour mess that accompanies all snow fall, even though we live in Denver and you’d think the residents of this city would know how to drive in snow! ), the pups played all morning in the snow (and are now curled happily at my feet), and I’ve cocooned myself in sweats. Happy day. Silly, heavy snow. Actually, it did us a favor because I think that limb was going to get the axe (well, the chainsaw) in a few weeks when we trim the tree. Anyhow! Back to writers. I love the writing community more than snow, believeitornot. 1) The Tattered Cover, Denver’s beloved indie book store, held two YA author events a few weeks ago. The first was with Laini Taylor. I found out about that day. Unfortunately, Mr. Atkins and I already had plans. Fortunately, they were in the same area as the TC. And fortunately again, we finished up a little early, around 8:30 (the event started at 7). We raced over to the store, and got there just in time to buy two copies of Laini’s Daughter of Smoke and Bone and stop her on her way out. Laini was super nice and signed both books for me, even though the event was technically over. The second event was a YA tour with authors Amy Garvey, Jocelyn Davies, Claudia Gray, and Kiersten White. I knew about this one in advance and emailed Kiersten asking how many books I could have her sign. They all took a moment to discuss their newest books, then there was a very funny Q&A sessions (seriously, every one of those ladies is hilarious) and then a signing. 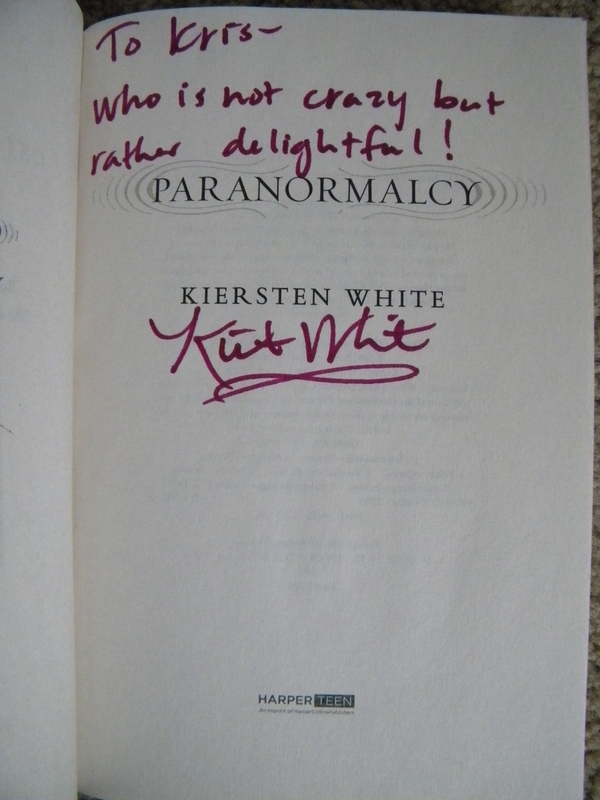 I’d already bought Kiersten’s Paranormalcy and Supernaturally, but now I wanted ALL of their books. 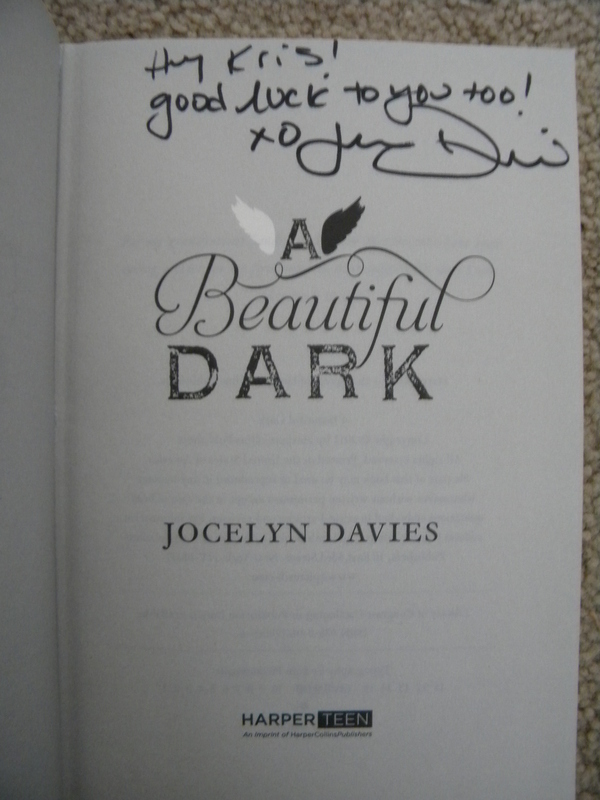 But couldn’t afford all of theirs, so I bought Jocelyn’s A Beautiful Dark to support her as a debut author (and I’m so stoked to read it AND it’s set in Colorado, what!). I chatted with Jocelyn and Amy about zombies, and then with Kiersten and Amy about ghost stories. Funny story, I was towards the back of the line, so I kinda zoned out, staring at the book titles around me (the event was in the historical section of the store). Jocelyn was the first author at the table, and she asked me how I was. I’d been thinking how I would tell her good luck, and because I was still kinda in the zone, when she asked how I was, I replied, in a loud, awkward voice, “Good luck.” Dur! I like books! I think they’re fun! I felt like the inbred cousin from down the street, but she laughed with me. Which just shows that writers are the nicest people. I introduced myself to Kiersten as the "crazy girl who emailed her." Oh man, I love me some signed books. I’ve started a shelf of all of my signed books. I’d take a picture of it, but it’s currently located under the dogs’ leashes. I’m going to move it to the piano in a few weeks. 2) A blog award! Yippy! Okay, so that was 17 but what’s gonna happen? Are the Award Police gonna come get me? Actually, I hope so, because that would be an interesting story! The fabulous Miss Cole gave me another award today! In case I didn’t fully impart to you her awesome, trust me: SHE. IS. AWESOME. She was my first commenter ever and I owe a lot of my readership to her! I can’t wait till she’s published so I can read her books. She’s tantalized us on her blog and I can’t wait to get the whole story. The 7×7 award has categories! So I don’t have to come up with random facts about myself. I get to share some of my past posts in a yearbook superlatives style. Most Beautiful: Probably RTW: Wide Open Spaces for the gorgeous images of wind generators in Wyoming I stole borrowed from my talented cousin, Michelle. Most Helpful: I don’t know if it was especially helpful to y’all, but Wear Your Heart on Your Page was inspired by some of the most helpful advice I’ve ever been given. Most Popular: By Most Hits: Why I Chose to Get a Low-Res MFA. I posted it on my program’s Facebook page, so it’s received a lot of hits. By Most Comments: my most recent RTW post, RTW: MY Road Trip, Holla! Most Controversial: That’s Why They Call Them Business … Cards didn’t stir up a lot of argument, but the gif could be controversial (if you’re not familiar with Flight of the Conchords). Most Successful: Probably my first post, aka Post the First (oh yeah, I’m original), because I was finally starting my author blog. Also, I got my very first comment ever from Miss Cole! Most Underrated: I had so much fun writing this post and it got very few hits or comments: Health Warning. Most Prideworthy: Well, I have many posts that I love, but I think the one I’m most proud of is Why Writers Should Be Like (the perhaps mythical version of) Christopher Walken. Why this one? I likened writing to Christopher Walken! The lovely and fun Miss Cole gave me two awards this weekend. So first I want to give her a shout out: Thanks!! And you should visit her blog, because it’s awesome. Not only does she blog about writing, but she posts a song every Wednesday that’s sure to get you motivated, and a picture every Friday taken by herself (and usually of beautiful England!). 1) Thank and link to the person who nominates you. 2) Share seven random facts about yourself. 3) Pass the award to five more blogger friends. 4) Contact and congratulate the blogs nominated. Stephanie Allen for her ability to graduate by surprise. Kirsten Lopresti for being the coolest mom and sending her kids to science camp(!). Kristin Laughtin for inventing the word ‘sequelitis’. Aaaaand Alison Miller for having the best blog title ever. 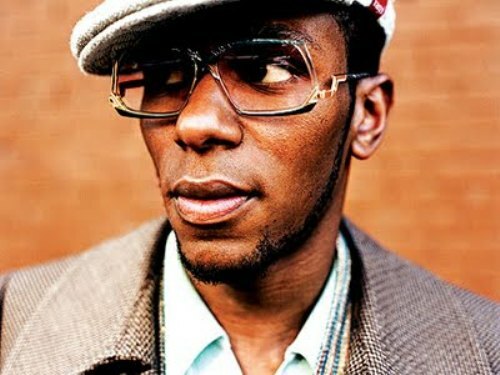 All of these blogs are fantastic and you should MOS DEF check ’em out! Now SEVEN things about me! 1. I LOVE Diet Dr. Pepper. Like, it’s a problem. I go to Sonic every day for a Route 44 Diet Dr. Pepper with vanilla. If you haven’t tried vanilla in your Diet Dr. yet, then get on it! 2. I graduated from BYU with a degree in Linguistics. That was my 5th official major (Pre-Broadcast Journalism then Pre-Public Relations freshman year, Fitness and Well sophomore year, Athletic Training first half of junior year, then halfway through junior year realized I stink at science and succumbed to my liberal arts brain and went with linguistics, which I LOVED). 3. I play the piano, but I’ve also dabbled in the violin, bells/xylophone, bassoon, and clarinet. I also really want to learn to play the cello someday. 4. I was a lifeguard for 2 years, then a lifeguard supervisor for 3 years at a water park in my hometown. MY MOST FAVORITEST JOB OF EVER, so far. Did you know you can be passionate about lifeguarding? I was! 6. In case it’s not obvious, I love languages (part of the word nerd thing, right?). I minored in Italian in college and also took 3 semester of Japanese. I took a semester of American Sign Language in college, and three years of French in high school. I also really want to learn a Polynesian language, Russian, Arabic (especially! so pretty), and Biblical Hebrew. 7. I don’t have a “favorite” author. I rarely go on an author binge, unless I’m reading a series. I have a bit of a short attention span and jump around from author to author, genre to genre. But my favorite genre is most definitely young adult. I also love urban fantasy and high fantasy. And anything contemporary.